Tranquility, luxury, and deep relaxation are what I look forward to as I embark towards the calming waterway of Anantara Spa at Eastern Mangroves, away from the hustle and bustle of the city. Set in the heart of Abu Dhabi, and inside the luxurious Anantara Resort, Anantara Spa at Eastern Mangroves boasts beautiful Arabic interior, majestic rooms, and Arabic-inspired decors. The spa proudly uses traditionally-inspired techniques and remedies that offer therapeutic pampering of the body. The Scents of Arabia Signature Ritual is an exclusive wellness experience that starts with a 15-minute steam. The essential oils used during the treatment uplift the mind and soothe the skin. The treatment also makes use of a unique three mint herbal compress and a bamboo stick that helps knead out daily tension from the body. Upon arrival, I was escorted to a serene waiting room, where I was given hand towels and offered refreshments. My therapist, Inge, thoroughly explained the Scents of Arabia Signature Ritual to me, what it incorporates, and the benefits of the bamboo sticks used during the treatment. Aside from that, I was also given essential oils to choose from prior to the treatment, after Inge carefully explained the benefits of each. She also asked if there were any specific areas I would like her to concentrate on during the massage, so she could tailor the experience to my individual needs. I felt extremely comfortable as we started the treatment, as Inge provided me with all the information needed as she escorted me to my private changing room. She also gave me the perfect amount of privacy every step of the way – a special mention to her excellent towel management skills! The massage itself incorporates pressure using the hands, the bamboo stick and the hot press. 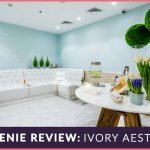 Personally, my favorite part was when the hot press was incorporated into the massage strokes – I could actually feel my whole body relax at that time. At the end of the treatment, Inge gave me some time to stay on the massage bed, lie down and relax, rather than immediately getting up to get changed. Once I was ready to get up, she escorted me to the relaxation room, where I was offered refreshments and some dates to end the treatment. I also wanted to mention that while the Scents of Arabia Signature Ritual was a massage treatment, it did a great job at thoroughly relaxing my mind and body. After the treatment, my face was glowing and I looked much healthier than when I walked in.. a testament to the complete sense of wellness the treatment left me with. 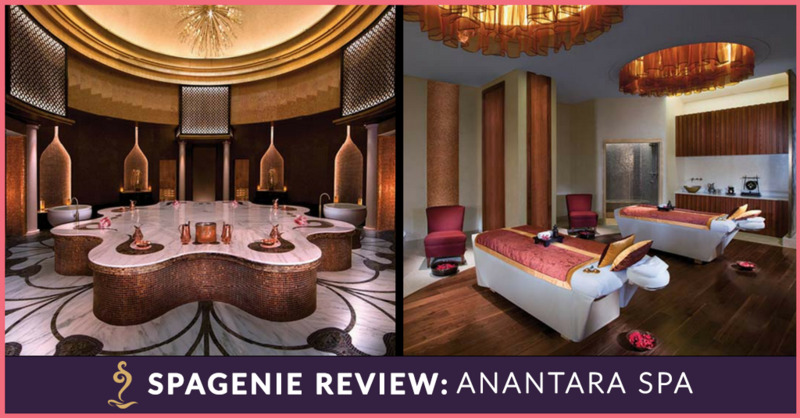 With valet parking available, friendly staff, a beautiful ambiance, and luxurious feel, I couldn’t recommend Anantara Spa at Eastern Mangroves enough. The spa is well maintained and you are provided with everything needed – robe, towel, slippers, and vanity kit stocked neatly and properly. The treatments are of superior quality, and leave you feeling relaxed and pampered. The best part, though, is the fact that you can enjoy the beautiful location of the spa. With gorgeous outdoor seating available at the Anantara Resort, it’s a pleasure to end your spa day with views of the beautiful waterway. This truly adds to the overall experience, and makes it the perfect spot for a wellness getaway that’s not too far from the city. Enjoy a luxury massage in one of the best hotel spas in the UAE! Enter our giveaway and be one of the 3 lucky winners to experience Anantara Spa at Eastern Mangroves’ Back, Neck, and Shoulder Massage. Giveaway closes on 23rd March, 2017, so make sure you enter before then! Fill in your details to enter the giveaway - submissions close on 23rd March 2017!